Where is St. Kitts? The Eastern Caribbean islands of the Federation of St. Christopher (St. Kitts) and Nevis, also known as the Federation, are a secluded, yet an easily accessible pair of tropical islands -- a best-kept travel secret. The Federation has a population of roughly 44, 000 people. 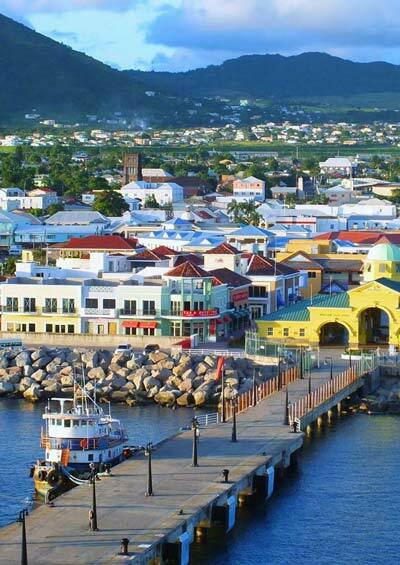 The capital of St.Kitts & Nevis, Basseterre, is located on the island of St.Kitts. The island of Nevis lays only about 3km south-east of the island of St.Kitts. Saint Kitts and Nevis are two of the Caribbean's oldest colonised islands. St. Kitts became the first British colony in the West Indies in 1624 and then became the first French colony in the Caribbean in 1625 when both nations decided to partition the island. The official language of Saint Kitts and Nevis is English. St. Kitts & Nevis are mountainous siblings anchored by muscular volcanoes, and they both have troops of green vervet monkeys - brought over by the British in the 18th century - that inhabit the less populated regions. Both islands have historical plantation inns with personality and character, and their sugar production was once unrivalled in the Caribbean. The two-island country combines beaches with breath-taking mountains. The beautiful beaches are relatively uncrowded, and behind them are the bougainvillaea and hibiscus that are home to the island's incredible hummingbird population. 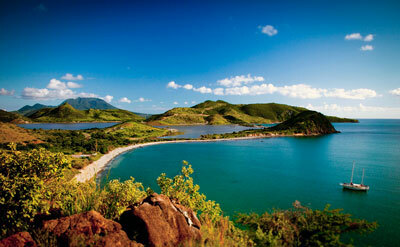 St. Kitts weather is tropical, cooled by the north-east trade winds. There is no distinct rainy season in the year. The heat is not searing; the highest recorded temperature is 33°C. Hurricanes may occur between June and November. 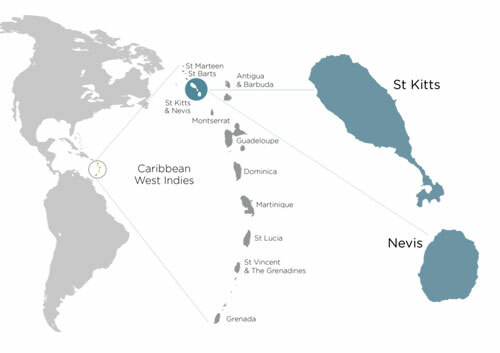 The Saint Kitts and Nevis Citizenship by Investment Program of Saint Kitts and Nevis was established in 1984, making it the longest established program of this kind in the world. The Government utilises this program to attract investors of good character to make a substantial contribution to the development of the Federation. Clean criminal record and good health / medical checkup. Yes, you may apply for St. Kitts and Nevis citizenship with your wife or husband, dependent children below 25, and dependent parents above 65.
or by acquiring a government-approved real estate. 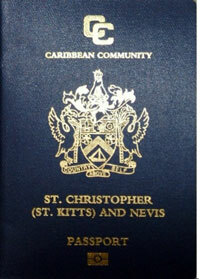 The SIDF option is the most popular option for citizenship by investment in St Kitts and Nevis. Established in 2006, the SIDF is a public charity that helps the Government with the task of diversifying St Kitts and Nevis’ economy. The minimum donation required under the SIDF option is 250,000 USD for a single applicant and 300,000 USD for a family of four. To qualify, the applicant must invest in approved real estate with a minimum value of 400,000 USD. The approved projects encompass real estate developments such as hotels, villas, and resorts. The property may not be sold within five years, or citizenship can be revoked. Nominal fees may apply for additional dependent family members. About USD 35,000 for the investor and 4 family members. You will get your second passport within 2-3 months. 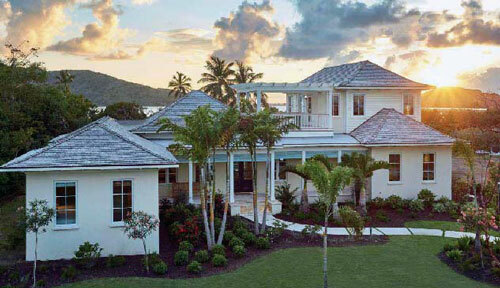 If you are looking for luxury living in St. Kitts then Christophe Harbour is for you. It is a mega development, currently under construction, with a 300 acre marina and an 18-hole golf course designed by Tom Fazio. Christophe Harbour promises comfortable and private living, excellent service and the fi nest amenities of an exclusive resort. Located on the Southeast Peninsula of St. Kitts, Christophe Harbour is abundant with turquoise lagoons, sandy beaches and picturesque, vegetate hills with views to Nevis Island. Investment of a minimum 400,000 USDin Christophe Harbour real estate or the marina qualifi es for Citizenship of Saint Kitts and Nevis. The development offers a great variety or investment options from a fractional ownership of cottages, to multimillion dollar villas in a full ownership. With panoramic ocean views and lush landscapes, the property is among the very limited supply of beachfront land available for sale in St. Kitts. Don’t miss your chance to capture a piece of this valuable, fi nite resource that includes: stunning vistas, beachfront access, and a central location. 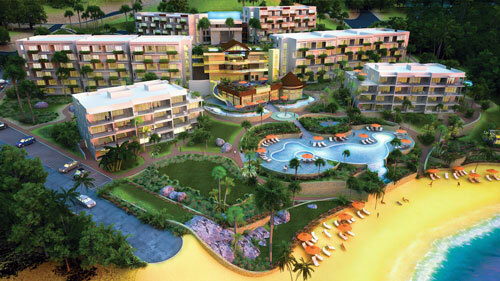 Embassy Suites by Hilton St. Kitts is one of the most desirable properties on the island. Embassy Suits by Hilton is an approved project under Citizenship by Investment Programme of St. Kitts & Nevis, and offers wealth individuals an investment in a full ownership of hotel unit. On Nevis, one of the most fascinating of the West Indies islands, a private world awaits. Unspoiled. Unrushed. Unmatched. 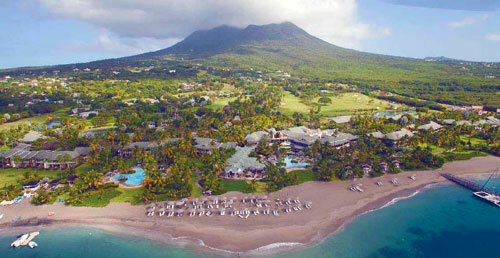 This is the Four Seasons Resort Estates Nevis, a splendid destination managed by the world famous hotel group. Stretched from the golden beach to the top of the hill, the Four Seasons Resort Estates offers a unique opportunity to choose the best environment for your personal world. Ultimate villas and beach houses are complemented by various services of the resort. Here you have everything for an unforgettable holiday full of colorful emotions and new experience! Enjoy watersports and diving in the Caribbean Sea, try the Robert Trent Jones II champion golf course, experience the care of spa professionals and be delighted with fi ne dining in one of the lovely restaurants accompanied by live music and stunning Caribbean sunset.